Registration: Sorry, registration for this event is closed. Please plan to join us for the 8th Annual Funding, Exits and IPO's event on Wednesday, February 27th, 2019 at the Quadrus Center in Menlo Park. This event typically sells out quickly and seating is limited so REGISTER TODAY! Following a couple of disappointing years for technology company IPOs, 2018 appears to have been a bounce back year! Early in the year we saw the highly anticipated IPOs of Spotify and Dropbox and these have been followed by DocuSign, Carbon Black, Zuora, and many, many others. For technology companies, 2018 has been a year of positives with a solid pipeline of unicorns and growth-stage companies as well as soaring stock prices and strong economic data encouraging investors to make further investments. However, in mid-October the markets suffered big losses including the worst day for the NASDAQ since 2011. Is this a temporary blip or the start of a serious decline? To what extent has the trade war with China contributed to these loses? Having seen some box office companies IPO earlier in the year, do we have a big name (Uber, Airbnb, Lyft) ready to go out in the fall and drive some excitement before year end or has 2018 run out of steam? At time of writing it is difficult to predict what might happen in 2019. In December we witnessed significant year-end turmoil in the markets with December turning out to be the worst year for the stock markets since 1929. January has seen moderate gains but interest rate hikes, trade tariffs and falling iPhone sales make it very difficult to say with any certainty how 2019 will develop and whether anything will really change for the Venture Capital and Technology Company community in Silicon Valley. Join us for an evening of lively, engaging and fun discussions and hear more about how things might work out for the technology community in 2019 and get a chance to ask questions to our panel of Venture Capitalists. We will see how accurate their 2018 forecasts were and will try to pin them down to some 2019 predictions too! Bill Reichert has over 30 years of experience as an entrepreneur and operating executive. Since joining Garage in 1998, Bill has focused on early-stage information technology and materials science companies. He has been a board director or board observer at CaseStack, WhiteHat Security, ClearFuels Technology, Simply Hired, MiaSole, D.light Design, ThermoCeramix, and VisaNow, among others. 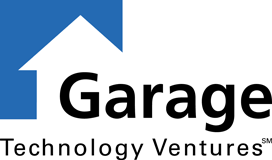 Prior to Garage, Bill was a co-founder or senior executive in several venture-backed technology startups, including Trademark Software, The Learning Company, and Academic Systems. Earlier in his career, he worked at McKinsey & Company, Brown Brothers Harriman & Co., and the World Bank. Bill earned a B.A. at Harvard College and an M.B.A. from Stanford University. He was a founding board member and a Chairman of the Churchill Club, and a Board Member of the Silicon Valley Association of Startup Entrepreneurs. Currently he is the Chairman of the Small Fund Roundtable of the VC Taskforce and a member of the Council on Foreign Relations in New York. 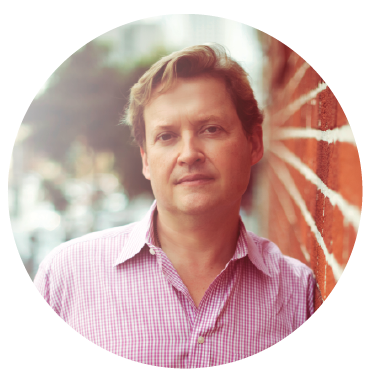 Jonathan Tower is a Managing Partner at Catapult, a global venture capital platform based in Silicon Valley. Jonathan has deployed more than $220mm in more than two dozen companies across three core investment themes: consumer (ecommerce, marketplaces), enterprise (software, services) and frontier technologies (AI, machine learning, AR, etc). Jonathan led investments in Jet.com (acquired by Walmart for $3.5 Billion), Dollar Shave Club (acquired by Unilever for $1 Billion), MapR Technologies, Madison Reed, Qumulo, Freshly, InsideView, IfOnly, Price.com, Zenplace, Kanler, Joy, Sourceeasy, BillFloat, Neighborly, and many others that have gone on to become market leaders. 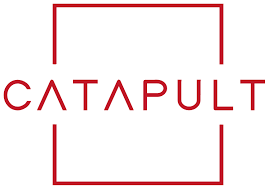 Catapult is a global venture capital platform serving entrepreneurs and investors committed to building transformational companies addressing fundamental human needs. The Firm aims to be indispensable partners to entrepreneurs around the world passionate about building companies driving meaningful innovation in new or existing industries, products or services. Jonathan began his venture career with Gabriel Venture Partners and, more recently, was a Managing Director at TriplePoint Capital and a Managing Director at Hercules Capital where he led investments in Clustrix, Votizen (acquired by Causes), Loku (acquired by Groupon), Oportun, and others. Previously, he was CEO at two successful software companies, an M&A investment banker, and a management consultant with Accenture and Braxton Associates. Jonathan earned a MBA in Finance and Entrepreneurial Management from The Wharton School and a bachelor's degree from UC Berkeley. Jonathan has been a frequent speaker at industry conferences and a contributor to The New York Times, The Wall Street Journal, The Washington Post, The L.A. Times, Fortune, Inc. Magazine, Fast Company, CNBC, KQED & Forbes. Jonathan's blog, Adventure Capitalist, has been featured in San Jose Mercury News and Fortune. Mitchell Kertzman is a Managing Director at Hummer Winblad Venture Partners. He has over 30 years of experience as a CEO of public and private software companies. Most recently, Mitchell was Chairman and CEO of Liberate Technologies, a provider of platform software for the delivery of digital services by cable television companies. Before joining Liberate, he was chairman of the board and CEO of Sybase, Inc. Mitchell was founder and CEO of Powersoft, which merged with Sybase in February 1995. A former programmer, Mitchell founded Powersoft in 1974 as Computer Solutions. He renamed the company and became a member of the Hummer Winblad family in 1991 when Hummer Winblad invested in the company, which became the leading provider of client-server development tools with its flagship product, PowerBuilder. The merger with Sybase in 1995 was, at the time, the most valuable in the history of the software industry. Mitchell served as President of the Massachusetts Software Council from 1994 to 1996 and was 1990 chairman of the American Electronics Association. He is founder and former chairman of the Massachusetts Institute for a New Commonwealth (MassINC), a think tank focused on issues related to the standard of living and quality of life of America's middle class. He served on the New York State Commission on Industrial Competitiveness and chaired its task force on industrial policy. Mitchell was awarded an honorary doctorate of humane letters from the University of Massachusetts, Lowell. He currently sits on the Boards of 6connect, AspireIQ, Blissfully, NuoDB and Symbium. Complimentary hors d'oeuvres and beverages. There will be plenty of time for drinks and networking. Tickets include wine & Hors d'oeuvres. By registering to attend a BABC Event, you consent to BABC`s collection and storage of the data you have provided to BABC. Additionally, from time to time, our Event sponsors request that we share information with them of those individuals who attended our events, including attendee's name, job title, company name, physical address and email address, and we comply with such requests. However, should you wish to opt out of the sharing of this information with the sponsors of this event, please click here to unsubscribe.